The NAPSG Foundation is governed by a Board of Directors. The Board meets in-person approximately twice per year and meets virtually once per fiscal quarter. The Board is responsible for making important decisions about the operations and strategic direction of the Foundation. The Executive Board is composed of the primary officers responsible for providing oversight and high level leadership in all aspects of the organization. Rand Napoli is the former Director of the Florida State Fire Marshal’s Office. He has over 44 years of operational command and administrative experience in fire protection, emergency medical services, hazardous-materials response, domestic security, arson investigations and emergency management. Prior to his service as State Fire Marshal, Rand was a member of the Jacksonville, Florida Fire and Rescue Department, where he retired after 25 years and served as Interim Fire Chief, Chief of Operations and Chief of Training and Safety. Rand is a co-author of the Florida Statewide Fire-Rescue Emergency Response Plan, and was Florida’s Emergency Coordinating Officer for fire and search & rescue disaster response for over 10 years. Rand has served as a Governor’s appointee on the Florida State Emergency Response Commission for Hazardous Materials, as a member of Florida’s Domestic Security Oversight Board, and on the Florida Violent Crime and Drug Control Commission. Rand was assigned command of Florida’s initial emergency response in support of the State of Mississippi following Hurricane Katrina. This response numbered over 6,000 Florida professionals over the duration of the mission. 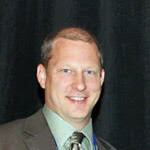 Chris Diller is the GIS Administrator for the Wisconsin Department of Military Affairs, home to the Wisconsin National Guard, Wisconsin Emergency Management, and the Office of Emergency Communication. Chris has been with the department since December of 2002 and oversees all geospatial activities including support for the State Emergency Operation Center and the Wisconsin National Guard Joint Operation Center. He also advises the agency on policy matters related GIS including the planning for and implementation of the Next Generation 9-1-1 system in Wisconsin. Lastly, Chris is also the server and storage manager for the department and is actively engaged in the department’s cyber defense posture. Chris has been an active participant in Wisconsin geospatial activities for over 20 years. He graduated from the University of Wisconsin – LaCrosse with a Bachelor of Science degree in Geography in 1995 and aside from a 3-year stint in the private sector, he has worked for the State of Wisconsin for the better part of his career. Part of his job is to actively engage and coordinate with federal, state, local, and tribal government as well as with private and non-profit organizations such as the NAPSG Foundation. In Wisconsin, he works closely with our State Agency GIS Coordination Team as well as the Office of the GIO on important issues specific to state agency needs. In addition to being on the NAPSG Board of Directors, Chris also is past President of the National States Geographic Information Council (NSGIC). Chief Brooks is the sole proprietor for Brooks Innovative Solutions providing dynamic solutions public safety, municipal and not-for-profit organizations. 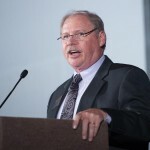 He served as the Chief Executive Officer and Executive Director for the Center for Public Safety Excellence, Inc. (CPSE) from November 2008 until October 2014, leading a period of unprecedented growth and expansion for the organization. He retired as Assistant Fire Chief from the Greensboro, NC, Fire Department in 2008 with nearly 35 years of service. Prior to his appointment as CEO of CPSE, he served as Chairperson for the Commission on Fire Accreditation International, and provided consulting services to fire agencies, associations and small municipalities. He holds a BA in Management & Ethics from John Wesley College and is a graduate of the University of NC, Institute of Government, Municipal Administration Program. His credentials include Chief Fire Officer Designation, Member designation from the Institution of Fire Engineers, and he is a certified facilitator and associate for the TRACOM Group for the powerful Social Style and Versatility Model. 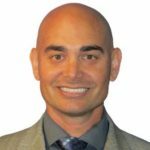 Dan serves as the Program Manager for the Utility Cyber Security Branch, the newest branch within the Office of Utility Safety at the California Public Utilities Commission (CPUC). Prior to serving with the CPUC, Dan was the Assistant Director Response at the California Governor’s Office of Emergency Services, where he led statewide response efforts through some of California’s most significant disaster events. 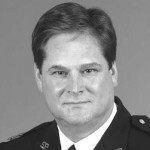 Dan has spent more then 2 decades in the US Army, Army Reserve, and National Guard where he promoted from the rank of Private to Lieutenant Colonel. Dan has completed postgraduate and professional certification work at various institutions, including the Leaders in Homeland Security program at the Harvard Kennedy School of Government, the NATO School at Oberammergau, and the Naval Postgraduate School. He holds a Master’s degree from the University of California, Davis, and a PhD in Industrial/Organizational Psychology from Walden University. Jim is the Vice President for Strategic Initiatives at the Police Foundation, overseeing the Foundation’s efforts to advance policing through innovations in practice and technology as well as the Foundation’s strategic programs and management services. Prior to joining the Police Foundation in early 2015, Jim served for more than 20 years at the U.S. Department of Justice, where he worked with state and local law enforcement and criminal justice agencies to prevent and reduce crime. 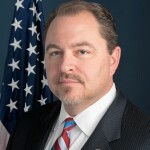 Ultimately, he was appointed to various senior executive and leadership positions in DOJ, including Acting Director of the Bureau of Justice Assistance (2009-2011), Deputy Assistant Attorney General (2011-2014) of the Office of Justice Programs (OJP), and Acting Assistant Director at the Bureau of Alcohol, Tobacco, Firearms and Explosives (ATF) (2014-2015). Before joining DOJ in 1994, Jim worked in the private sector as well as in local justice agencies. Jim has received numerous awards and recognition throughout his career, has been nominated to lead cross-agency federal initiatives, and served as a member of the FBI’s National Academy Advisory Board before leaving federal service in 2015. Jim is an accomplished speaker, has conducted local and national training, served as a national media commentator, guest lectured at the FBI National Academy and in academic settings, and has authored publications and articles on various criminal justice topics. Jim has a Master of Science Degree in Administration from Central Michigan University and a Bachelor of Arts Degree in Criminal Justice from the University of Maryland at College Park. 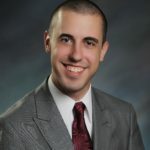 Justin joined the Mayor’s Cabinet in August 2011 after coming from his role as a Homeland Security Consultant for the Delaware Emergency Management Agency. In his role, Justin coordinates city-wide emergency response efforts by working with Federal, State, and other areas of municipal government to obtain the necessary resources needed to recover after a disaster. Justin developed the Comprehensive Emergency Management Plan for the city, and he chairs the Local Emergency Planning Committee. During his time in Nashua, Justin was responsible for coordinating the response and recovery of FEMA declared disasters Tropical Storm Irene, the “Snowtober” Nor’easter, Superstorm Sandy, Winter Storm Nemo, and Winter Storm Juno. He is a Certified Emergency Manager (CEM) affiliated with the International Association of Emergency Managers (IAEM) and was awarded “NH Emergency Management Director of the year” in 2015. Justin is a graduate of the University of Delaware where he majored in Emergency Management and Public Administration. In his spare time, he has taught Crisis Management as an Adjunct Professor at Daniel Webster College, Public Health Emergency Preparedness as an Adjunct Instructor at Rivier University, and numerous FEMA state-delivered courses for the New Hampshire Fire Academy. 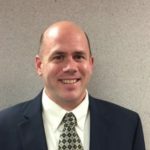 He is currently the Vice President of the IAEM Region 1 Board of Directors, Chair of the NH Voluntary Organizations Active in Disaster (NH VOAD), and a Member of the DHS Science & Technology Social Media Working Group for Emergency Services and Disaster Management (SMWG). Clark retired as the Chief of Staff and second-in-command of the Seattle Police Department in Washington state in June 2014 after 31 years of service. As Assistant Chief-Chief of Staff, Chief Kimerer oversaw all administrative functions of the department, including the 911 Communications Center, Training, Finance/Budget, Human Resources, and Information Technology. From 1998 to 2007, he held the concurrent assignment of Director of the City of Seattle Emergency Operations Center. Chief Kimerer was extensively involved in the creation of the Seattle GIS – Common Operational Picture system. He was planning commander and Seattle point-of-contact for the DHS National TOPOFF 2 exercise, and a subject matter expert and mentor for TOPOFF 3. 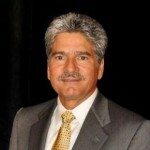 He serves as an instructor and subject matter expert at various universities and professional institutions in the United States and Great Britain, and is currently director and facilitator for the Naval Postgraduate School’s Urban Area Mobile Education Team (MET) Executive Education Program in Monterey, CA. Chief Kimerer holds a bachelor’s degree in classics and liberal arts from St. John’s College in Annapolis, Maryland, and has completed postgraduate and professional certification work at various institutions, including the Harvard Negotiation Program at Harvard Law School. He is also a graduate of the National Executive Institute, and served as a syndicate director for the Leadership in Counter-Terrorism (LInCT) program, conducted in Sydney, Australia and Honolulu, Hawaii. Upon retirement, Chief Kimerer was inducted into the Center for Evidence Based Crime Policy Hall of Fame at George Mason University. Director, Chemical Safety, CSX Transportation Inc.
Chris started his career with CSX in 1996 as a conductor in Richmond, Virginia, and was promoted to Locomotive Engineer in 1997. In 1998, he was promoted to Yardmaster at the Acca Yard in Richmond, Virginia. In August of 2000, Chris was promoted to Manager of Locomotive Distribution, then in August of 2004, he was transferred to Syracuse, New York, as a Trainmaster. Within the Public Safety Health and Environment Department at CSX, Chris has held several positions since 2009, including Manager of Hazardous Materials and Director of Hazardous Materials Systems. Chris is currently the Director of Chemical Safety. He has been the CSX representative on the American Association of Railroads (AAR) Tank Car Committee since 2010, is the current Chairman of the AAR Non-Accident Release Committee (NAR), as well as the current Chairman of the API/AAR Mitigation Workgroup. Chris is an active board member of The Firefighters Education and Training Foundation, which is a non-profit organization dedicated to training first responders in the safe response to railroad emergencies. Chris has attended Longwood College, Jacksonville State University, and is currently attending Columbia Southern University to complete a degree in Fire Administration. He holds an Associate Degree in Fire Science from Columbia Southern University. Prior to working for CSX, Chris was a member of the Chesterfield VA Volunteer Fire Department and re-certified as an Industrial Firefighter in 2008 and a Structural Firefighter in 2011. "When public safety gave up the horse-drawn steamer engines and began using motorized apparatus, they took a major leap in improving the delivery of community safety. The fire service is in position for another major leap by using GIS to improve our operations. The use of GIS has the potential to be as dramatic a change as the adoption of motorized vehicles a century ago."